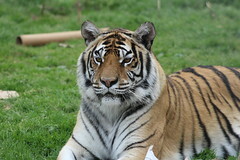 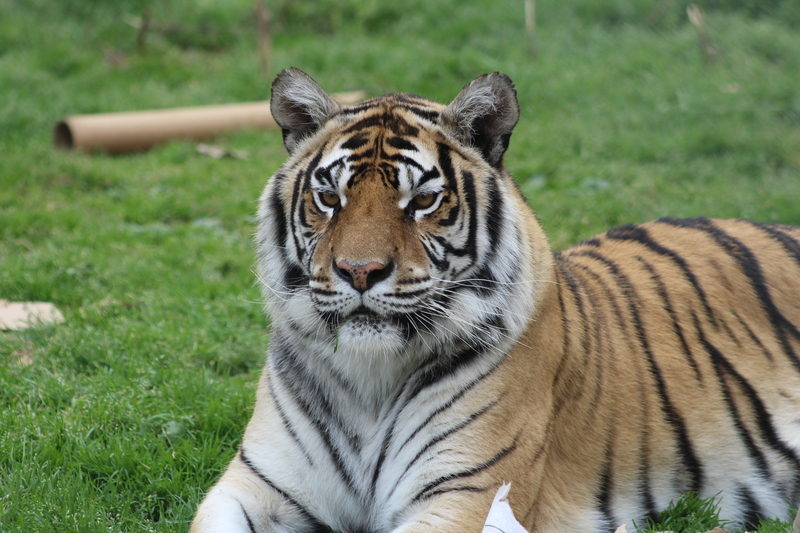 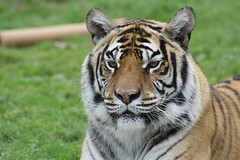 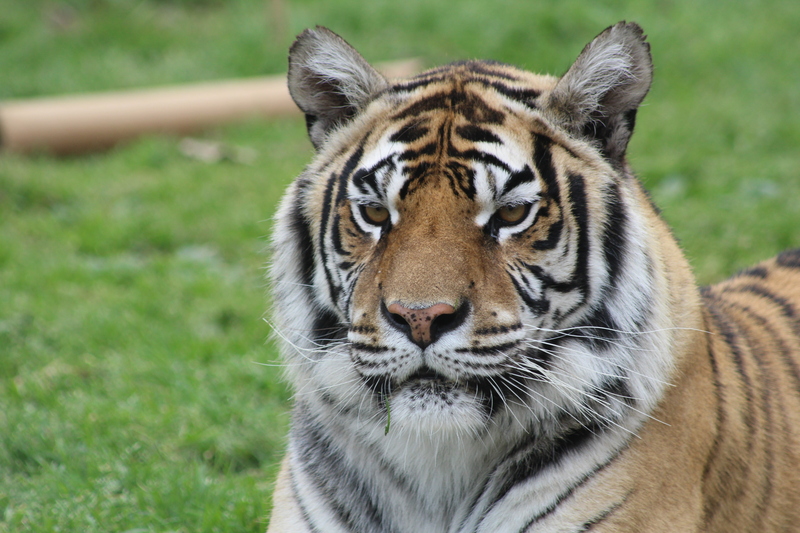 India is a gorgeous tiger with darker fur and darker markings. 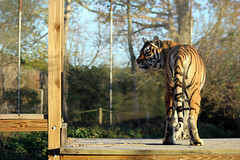 She is a little less confident than her enclosure-mates and definitely the least dominant of the three. 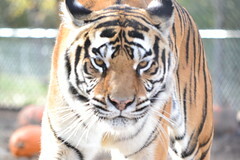 She loves to stalk people, which is a great reminder that she is still a wild cat! 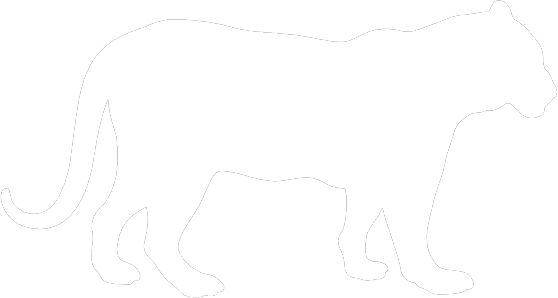 Once she knows you have seen her, however, she turns into a chuffle machine! 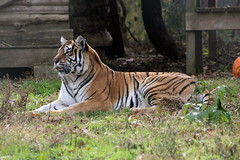 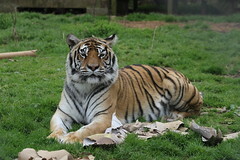 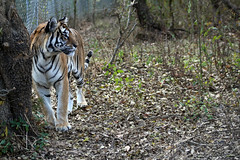 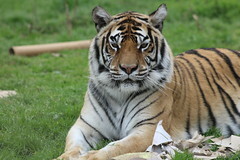 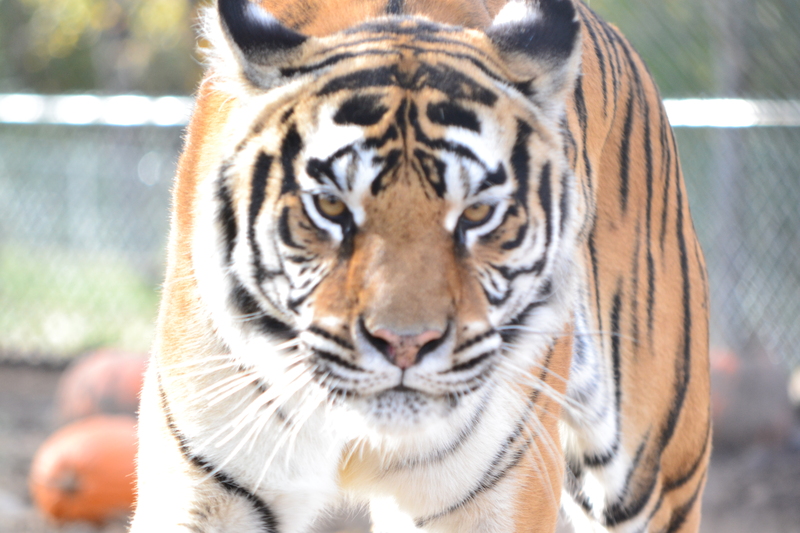 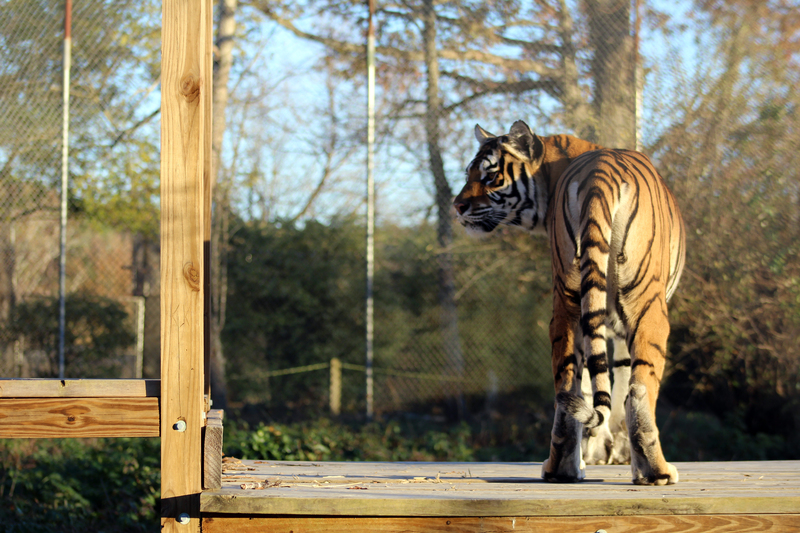 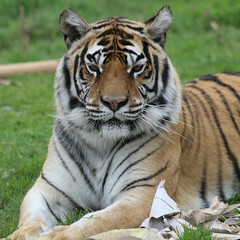 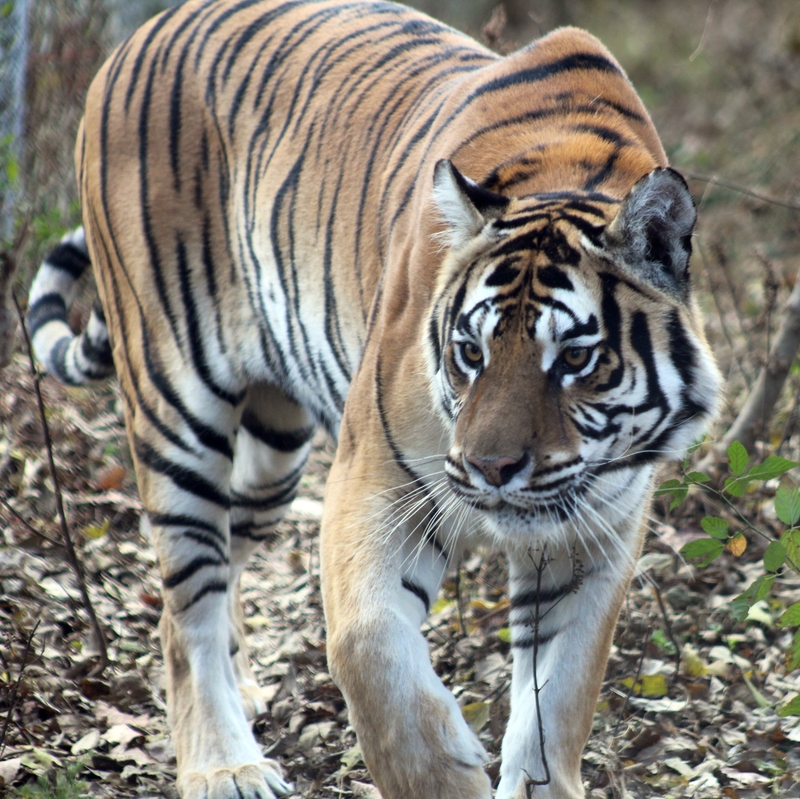 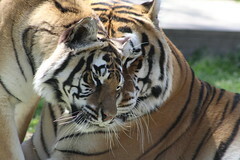 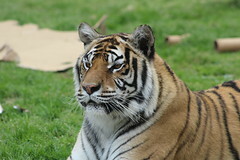 India came to Carolina Tiger Rescue with her enclosure-mates, Caprichio and Carolina, along with 13 other animals from a facility in Colorado. 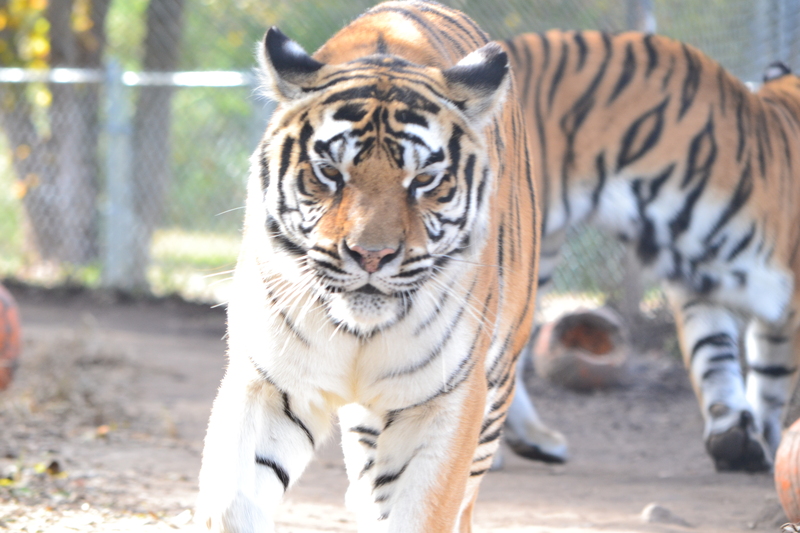 This facility was closed down when the owner fell ill. Carolina Tiger Rescue worked with several other sanctuaries around the country to find homes for over 100 animals. 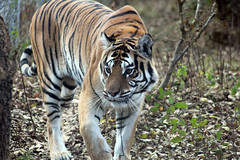 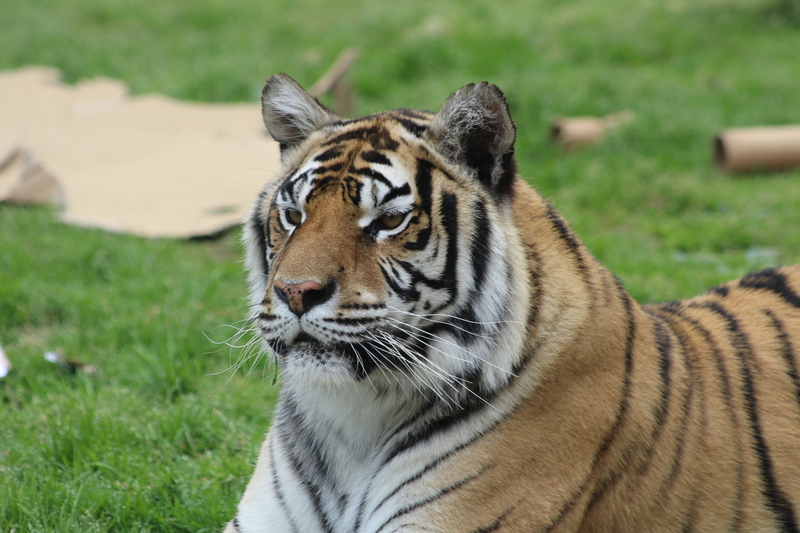 India is a reserved tiger who can be quite stoic at times. Even when you think she is not paying attention, you can bet she is observing every move you make. 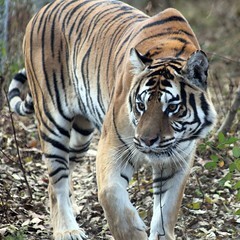 India loves to talk to people she knows and will do so with chuffles and moans that sound like cow moos. 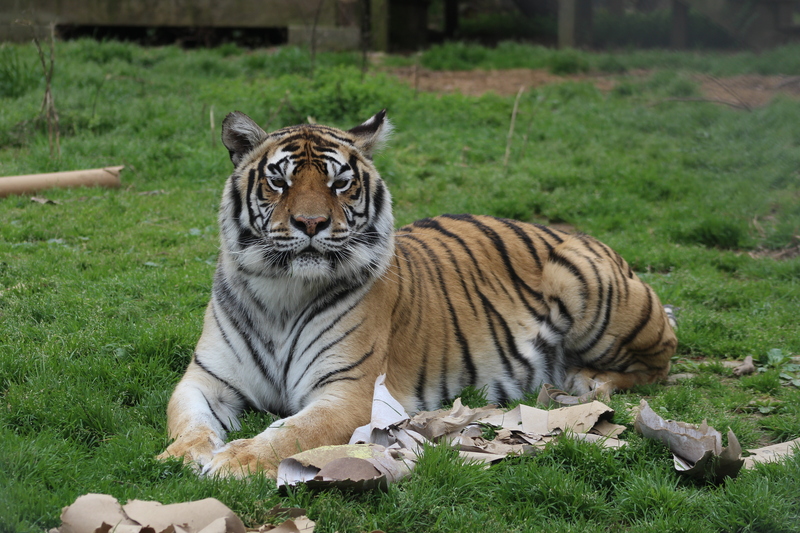 India often opts to let Carolina take the lead and check out enrichment first, but when it is her time, India acts like a big cub and enjoys destroying everything she gets! 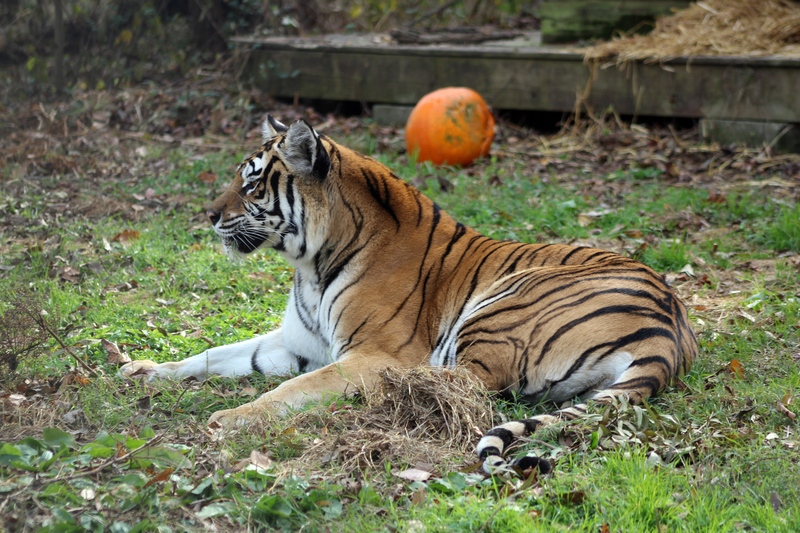 India has a beautiful, dark orange coat that helps her stand apart from her enclosure-mates. 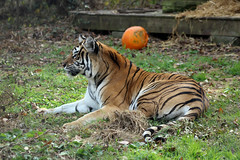 Along with her dark coat, she has jet black stripes that are striking. 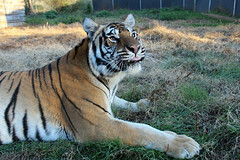 She even has a couple stripes on the right side of her face that look like a heart! 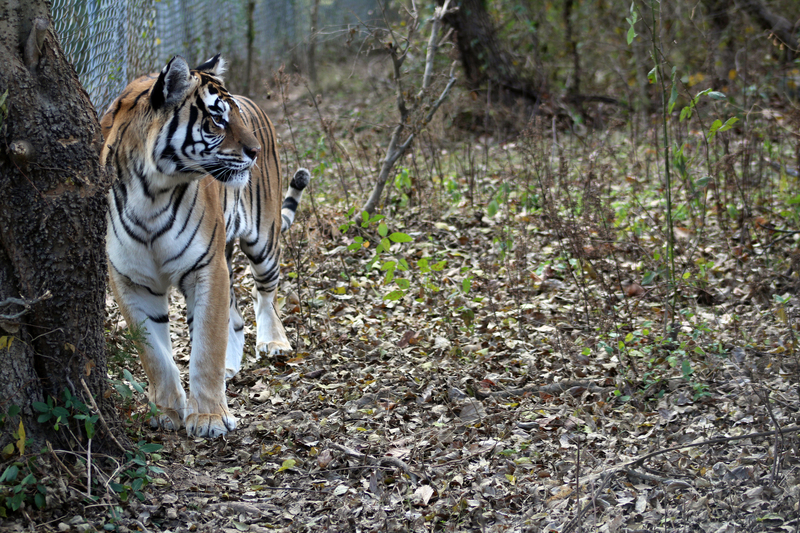 India has a petite body, but one that packs a lot of punch! 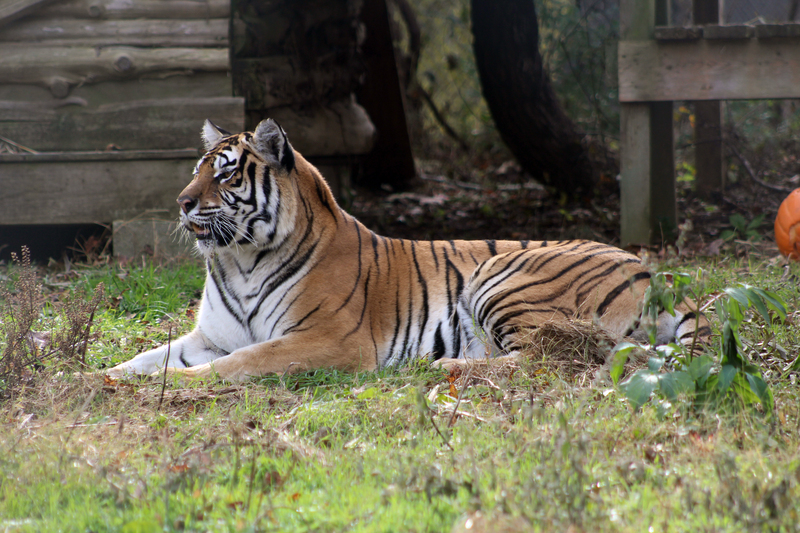 India lives on tour on Oak Hill with her enclosure-mates, Carolina and Caprichio Tigers. 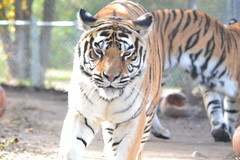 On one side is Rajah Tiger and on the other side are Sebastian and Sheba Lions.